Saturday, February 10, 2018 — Deborah Stevenson will be joining the American Kennel Club at their Meet the Breeds event in New York City tomorrow. 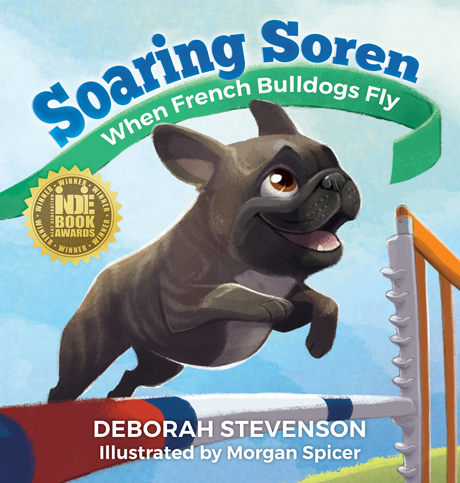 She’ll be signing copies of her children’s book Soaring Soren at the Westminster Kennel Club’s booth from 12:15 to 1:30pm and 3:45 to 5pm, as well as handing out bookmarks and coloring pages for kids. “The eighth annual event gives dog lovers the unique opportunity to meet and play with more than 100 different breeds in booths individually decorated to depict each breed’s country of origin, historical purpose/function, and attributes as a family pet, all while learning about responsible dog ownership and which breeds may be right for them” (Source).